Acquired in 2010 by Andrés Taracido, the role of the SFCT is to help businesses and holding companies to set up in Switzerland. We also specialise in the creation and incorporation of financial and trading companies. In doing so, we provide the full range of services you need to help you establish your company in Switzerland, backed by solid experience in the industrial and financial sectors. Our services also cover advice with legal, tax-related or administrative issues, the opening of bank accounts, putting you in touch with potential partners and all other formalities related to the authorisations you need to set up your company. Thanks to our professionalism, your formalities will be completed reliably and efficiently, helping you to achieve considerable time savings. Switzerland is famous for its advanced banking system. With this in mind, we provide judicious advice to help you choose the bank best suited to your needs, and for the various financial products adapted to your strategy. Additionally, Swiss Financial Company & Trust SA proposes a domiciliation service to help you quickly obtain an address and private offices in Switzerland. Among others, we operate in Lucerne, Zug and Geneva, enabling us to offer a diverse range of siting possibilities. We also propose fiduciary services 2.0. These are high-performance tools using modern technology. Thanks to our secure monitoring platform, you can access your information in a clear and transparent way, online, at all times. Finally, to accompany our platform, we propose resources such as the digital safe, which you will need to store your digital documents in a totally secure manner, or the hosting and forwarding of confidential information and documents to your partners. Our clients are located all around the world (please see the map). We have helped around a hundred companies to set up in Central and South America, the United States, Canada, North Africa, Asia, as well as in Russia and several East European countries. Our expertise, our in-depth knowledge of international cultures and our proficiency in the main languages (English, Spanish and French) enable us to meet the needs of even our most demanding clients as precisely as possible. Born in 1972 and originating from Geneva, Andrés Taracido completed advanced studies in architecture before undertaking training in marketing, which he rounded off with a diploma from the Institute for Studies in Finance and Banking in Geneva. His aptitude for business, corporate and organisational matters led him to begin his career in a sales and consultancy role for complex financial services related to raw materials, and in the shares, bonds and currency field. He was appointed as a director of the company employing him, which led him to establish his own financial company 2 years later. During his career, Andrés Taracido has embraced a series of specialities which firstly saw him obtain his federal diploma as a Swiss certified expert in finance and investments (finance, wealth management, banking and taxes); and subsequently the Certified International Wealth Manager CIWM diploma (wealth management, private banking and financial advisory); and finally certification from the STEP – Society of Trust and Estate Practitioners and TEP accreditation (fiduciary services, management and administration of international companies and trusts). After the sale of his company, he focused on banking as a consultant, particularly in Switzerland, Mexico and Panama. This experience marked a new turning point in his career. Realising the potential of foreign companies wishing to set up in Switzerland, he decided in 2010 to acquire the Swiss Financial Company & Trust SA, based in Lucerne with representation in Geneva, a fiduciary & corporate services company focusing on international businesses in all sectors of economic life. Andrés Taracido speaks French, English and Spanish. He has an extensive network of contacts in Geneva, in Switzerland and worldwide. 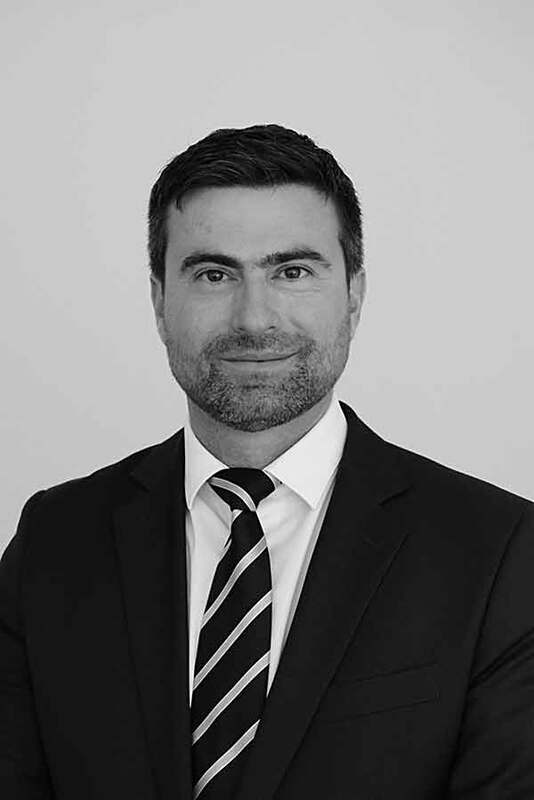 Among his strengths, he is fond of saying that he knows “a little about everything”, being fully familiar with the workings of the administrative and accountancy world, combined with excellent knowledge of the legal and fiscal aspects of Swiss law. He is your “go to” contact for all stages involved in setting up a foreign company in Switzerland. The perfect person to represent you as a board member, manager or director, whether for a company, foundation or association. For more information, please do not hesitate to contact us. We will be happy to assist you.